Even though the last time I blogged was only a week ago, it feels like I haven't for ages, so apologies! I had a crazy week last week, on Thursday I got my A Level results which stressed me out so much, I'm normally very laid back but I was freaking out! Luckily I got ABC which meant I got into university so I could stop stressing! I will be studying Media Production which I am so happy about! I applied for Media Production at three universities and Makeup for Media and Performance at two universities, I got rejected from both universities for Makeup for Media and Performance and I was gutted but after having a few months to think about it, I'm happy it worked out that way. Now, I feel like I have more of a choice of what I could do in the future, I like the idea of TV Producing but I have a while to think about it! Last week I also cut off all my hair (eek) which I am still trying to get used to, I would describe it as a "long bob" as its just on the top of my shoulders! On Saturday it was my niece, Phoebe's first birthday which was crazy! I cannot believe she is one already! We all made her this cake which seemed to go down well and everyone was impressed! 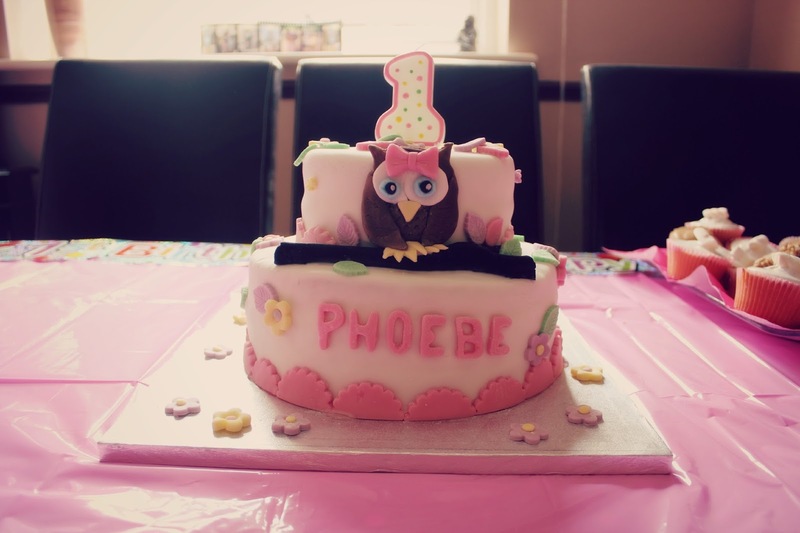 It was lovely to celebrate with everyone and it's safe to say that Phoebe got spoiled! I've been working pretty much everyday this week so I'm writing this while drinking green tea, eating chocolate and watching Breaking Bad (started this a few days ago after all the hype!) and I will be back to blogging properly next week! I also bought a Macbook! I'm so excited and I love it so far! If there are any posts you would like to see, leave a comment as I've had a case of "bloggers block" and not knowing what to post about! Congratulations on your amazing A Level results & getting into university. It's my niece's first birthday this Sunday! congrats on your results! I got my AS results last week and thankfully I can continue in my Grammar School for for A2's!